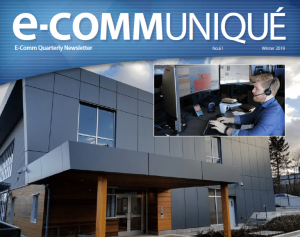 e-communiqué is E-Comm’s quarterly stakeholder newsletter. Read the Winter 2019 edition online. Download the Winter 2019 edition. Scroll down to view previous editions of e-communiqué. E-Comm publishes an Annual Report and financial statements. Read the latest Annual Report. 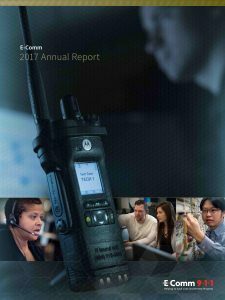 2016 Annual Report – Updated to correct photo caption on page 14, originally published in June 2017. 2013 Annual Report – Updated to correct percentage of police calls dispatched (66%) originally published in June 2014 as (74%).